I am happily growing my scientific library this year! 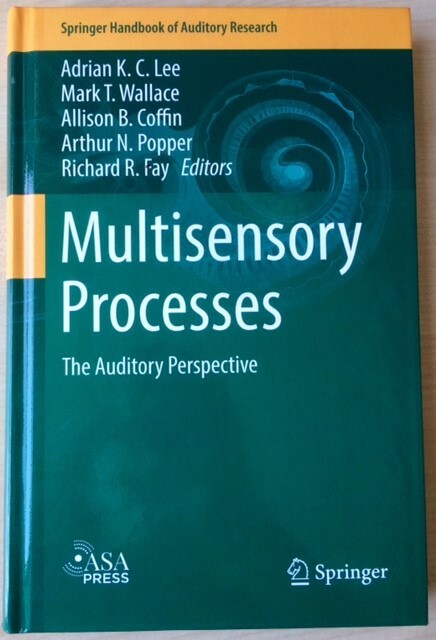 Hot off the press, the second and last chapter Chris Petkov and I co-authored was published in the book Multisensory Processes: The Auditory Perspective. 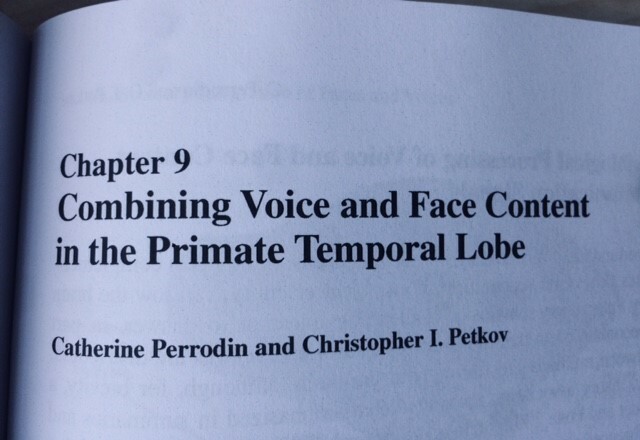 In this new volume of the book series dedicated to all things auditory, we unify recent insights from single-neuron, oscillatory activity and functional connectivity studies to understand how visual face information is combined with auditory voice information in the primate temporal lobe. 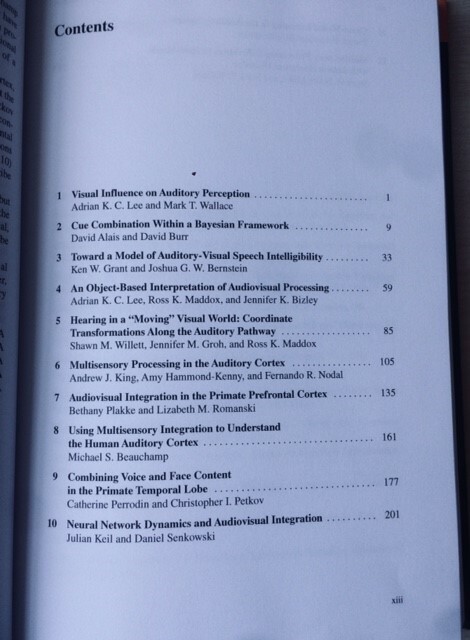 The book as a whole provides a compelling picture of how different aspects of auditory perception, cognition and behaviour are shaped by inputs from other senses. Thanks to the editors for their great job curating this volume!